Estee Lauder Take It Away Makeup Remover Lotion // WOW is all I have to say. It is everything I have always wanted in a makeup remover and more. It’s a lotion, so it’s easy to use. It actually removes all makeup, even the stubborn waterproof stuff. It leaves skin feeling clean and soft, and it doesn’t leave an oily residue. I received a small sample tube from a free gift with purchase, and I’m definitely going back to get some more. It’s expensive ($28 for a 6.7-ounce bottle), but you only need to use a little bit (I’m talking a pea-sized amount!) on a cotton ball to remove an entire day’s worth of makeup. Estee Lauder Sumptuous Waterproof Mascara // I received this in a free gift with purchase, too. 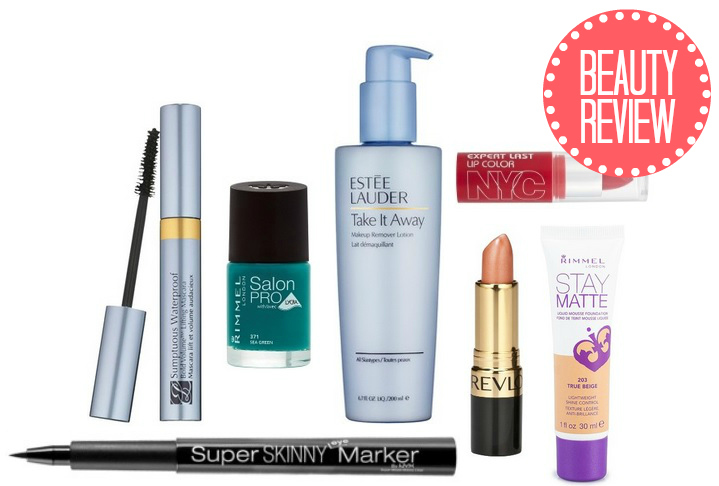 The mascara is pretty standard, but unlike other waterproof mascaras, it doesn’t clump on my lashes! I might get this again if I’m in the market for waterproof mascara, but it’s not much better than non-waterproof varieties from the drugstore. Rimmel London Salon Pro Nail Polish (I own it in Simply Sizzling) // I had some CVS ExtraBuck rewards, so I picked up a bottle of this nail polish for free! And I’m so glad I did: I absolutely love this polish. 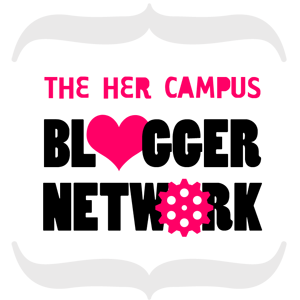 It’s a vibrant hot pink color, and it stays shiny and smooth for days. This polish makes my nails look like they were professionally manicured, and you can’t beat the low $3 price. I wish the nail polish were available in more colors, especially bright colors for spring and summer. Hopefully more will be released soon! Rimmel London Stay Matte Liquid Mousse Foundation (I own it in #091 Light Ivory) // I received this from the Influenster Uni Vox Box, and I was excited to try it. My skin often gets oily when I wear cream foundation, so I was hoping this brand would keep it shine-free. It does keep my skin looking matte, but it also looks cakey and unnatural. It’s $12, and I wouldn’t buy it myself. If you’re really looking for a matte-ifying foundation, I would recommend mixing this one with another liquid foundation to get more even coverage. I really like Rimmel’s Clean Finish Foundation, so I’m going to try mixing it with the Stay Matte Foundation. I’ll let you know how my little experiment turns out! Revlon Super Lustrous Lipstick (I own it in Honey Bare and Fifth Avenue Red) // This lipstick is a classic, so of course it’s good! I picked up a tube of Honey Bare as a finals week treat, and I couldn’t resist buying a tube of the iconic vintage Fifth Avenue Red when I saw it a few weeks later. Honey Bare is a great neutral shade, and Fifth Avenue Red is a bold red with cool undertones. For a subtler look, I like to apply Fifth Avenue Red as a stain by putting a little bit onto my finger, then dabbing it onto my lips and finishing off with some plain lip balm. 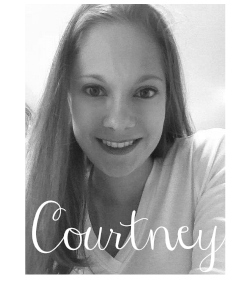 NYC Expert Last Lip Color (I own it in #447 Forever Fuchsia) // I received this from the Influenster Uni Vox Box. WOW this color is super bright! It’s not something I would usually wear, but I took a risk and wore it to class on Monday. Eh… not a huge fan. The formula stayed on all day, but it dried out my lips. The color is very vibrant and isn’t very flattering on me. I wouldn’t purchase this product. NYX Super Skinny Eye Marker // I picked this up after running out of my favorite eye liner, L’Oreal Infallible Super Slim Liquid Liner. The verdict? This one is okay, but not as good as the L’Oreal liner. You need to store it upside-down to ensure that it works, and I sometimes forget, so the pigmentation isn’t as good. It’s a decent product, but I wouldn’t buy it again. The title of this post pretty much sums up my spring break trip to Florida with my family. We went to Orlando, and I miss it already! 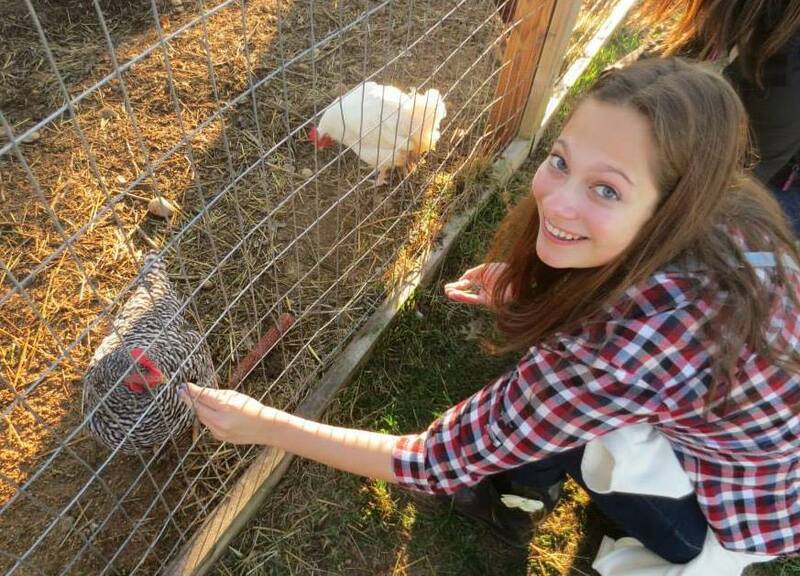 Here are a few highlights from the first part of the trip. I celebrated my 21st birthday while in Orlando! 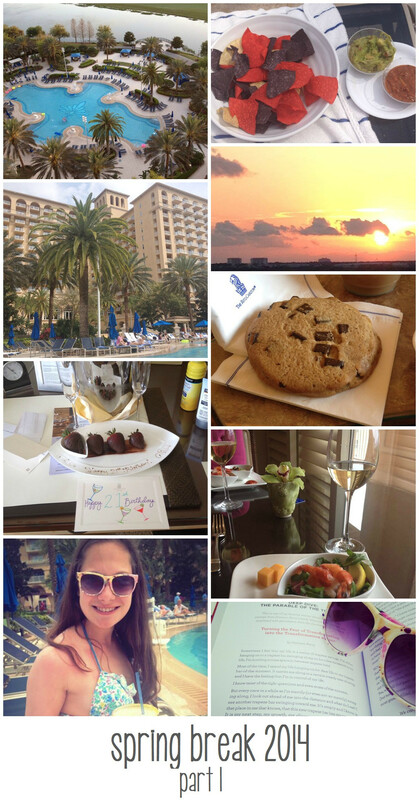 The hotel was wonderful enough to send some wine and chocolate-covered strawberries to our room. Yum! On that note, the food at in Orlando was amazing: I enjoyed approximately a zillion blue corn chips with guacamole, the most amazing chocolate chunk cookies in the world, and plenty of tasty snacks. All while reading at the pool. Could it get any better?! Have you been on any trips recently? Tell me about them! I’m so excited to finally be done with winter quarter! I’m headed to Florida with my family tomorrow for a much-needed vacation. 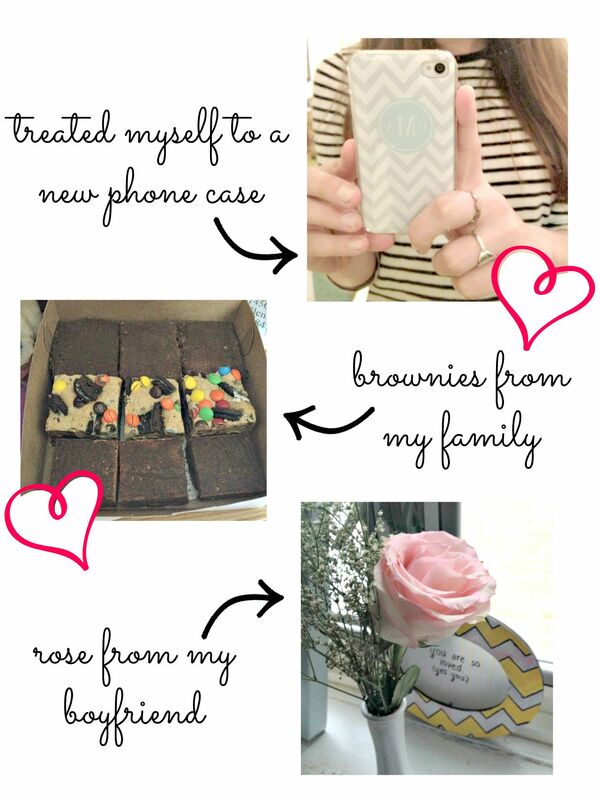 Here are some of my spring break must-haves, and they’re all from Target! When I picked up this pretty scrapbook paper at the Target Dollar Spot, I knew I wanted to use it to make something for my new apartment, but I didn’t know what! Then, I saw some cute coasters at Sur La Table, and everything clicked: tile coasters! I’ve seen tile coasters all over Pinterest, and now I finally have time to make them. I used the tutorial from The Cottage Mama. I appreciate how detailed this tutorial is, and how it provides dimensions for everything. I need numbers! I made 8 coasters: enough for each of us in the apartment + 2 more. Without the Mod Podge, brush, or glue (I had these on hand), this project only cost me around $2.50. I don’t think I could find a set of 8 ceramic coasters for that price anywhere… much less coasters that are these cute! I used a paper cutter to cut paper squares, and I used scissors to cut the felt. Cutting felt is tough! If anyone has tips , please pass them along to me! I first painted the back of each paper square with Mod Podge, and stuck it onto the tile. I let the paper dry, pressed out the air bubbles, and coated the tiles with 6 coats of Mod Podge, allowing 15-20 minutes after each coat for it to dry. 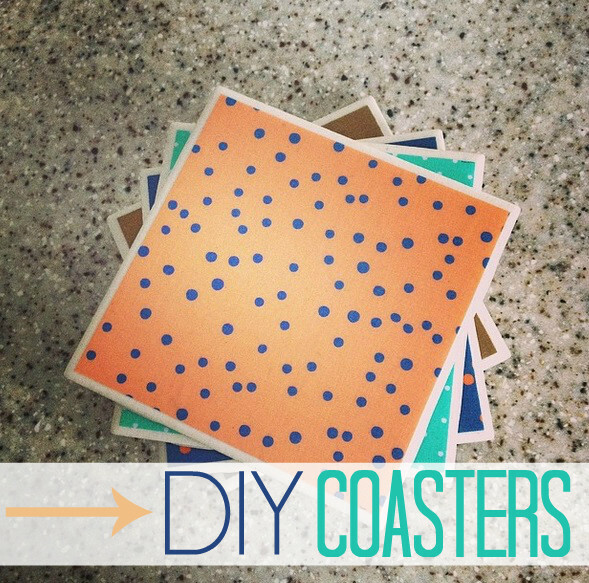 I’m obsessed with these coasters! I’m keeping this set for myself, but I’ll definitely be making many more! These coasters would make great gifts… you can never have too many! 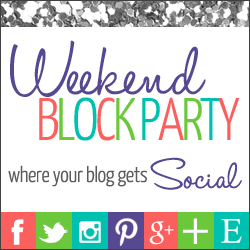 I wasn’t compensated for writing this post, but I’m so excited about this promotion! 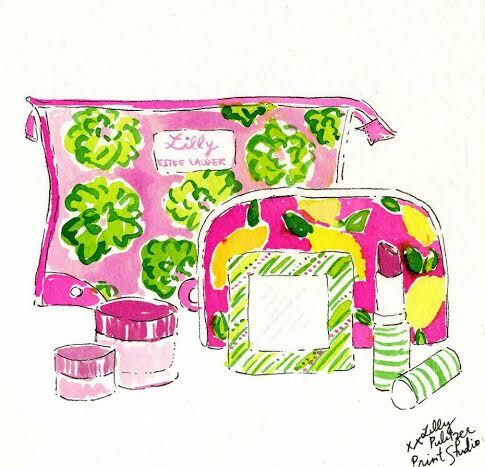 I can’t wait until I go home next week so I can get to Macy’s to pick up mine. I hope they don’t run out! 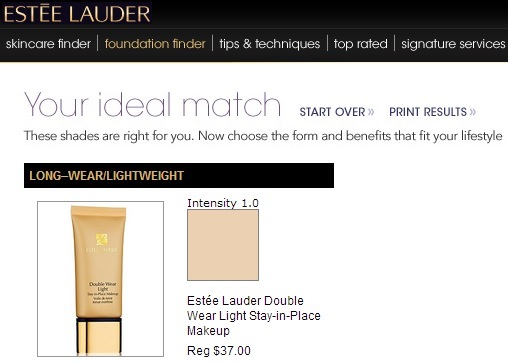 Also, Estee Lauder recently released their Skincare Finder and Foundation Finder, which promises to match you with the right products just like at a beauty counter. I really liked all of the questions in these quizzes, and I especially liked that I didn’t have to talk to anyone at a beauty counter! Here are my results. Is 1.0 the palest shade? It probably is. I need spring to come soon so I can get a tan! 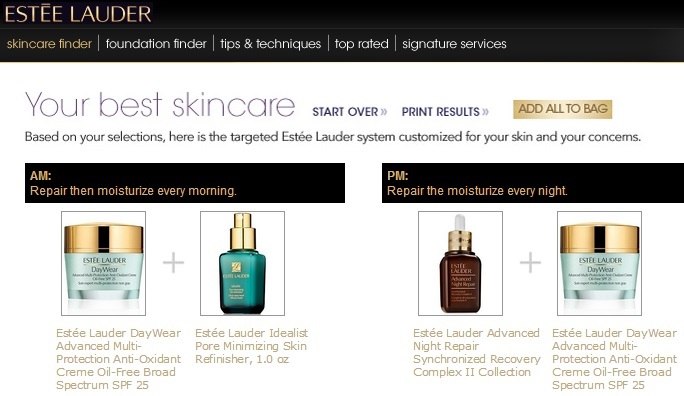 I love that Estee Lauder makes oil-free moisturizer, and I especially love that the moisturizer comes in the free gift! I can’t wait to try it! 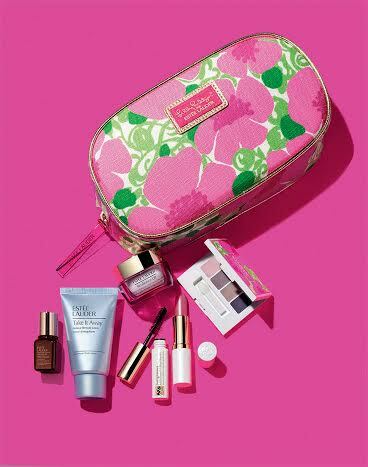 Which Estee Lauder products should I choose to go with my free gift? What are your favorites? 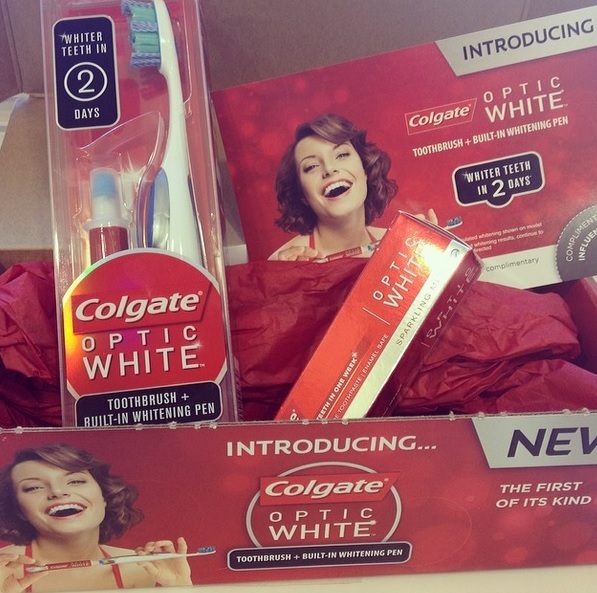 I received these products courtesy of Colgate and Influenster, but all opinions are my own. I already use love Colgate Optic White toothpaste, so when I was contacted about trying a new product in the Optic White line, I was excited. I like the toothpaste because it doesn’t taste too minty and it keeps my teeth clean, but I haven’t noticed a difference in the whiteness of my teeth since I started using it. Then again, I’ve used it for years and I’ve never really looked for a difference! I’ve used Crest WhiteStrips before, but Ive found that they were difficult to put on, felt icky on my teeth, burned my gums, and didn’t have a lasting effect. So I wasn’t a fan. I’ve never tried a whitening gel before, so I wasn’t sure what to expect from this one. But I was pleasantly surprised! It was easy to apply, and it did make my teeth look whiter. The instructions say to apply the gel twice a day, but my teeth are pretty sensitive and I’m not looking for a dramatic whitening change, so I use it once a day, at night. My only issue with the product is the way the gel feels on my teeth right after I put it on. It slips off of my teeth a little bit, and it feels pasty and gummy and tastes weird. Not a bad taste, but more of an “Is this safe? !” taste. It’s not pleasant, but it’s easier and feels much better than whitening strips. Would I buy this product again? Perhaps. If I run out of the gel and want some more, than definitely! I also like that the whitening gel goes inside the base of the toothbrush: it makes it easy to just brush, whiten, go! Do you use teeth whitening products? Have you tried the Colgate Optic White Toothbrush + Built-In Whitening Pen? 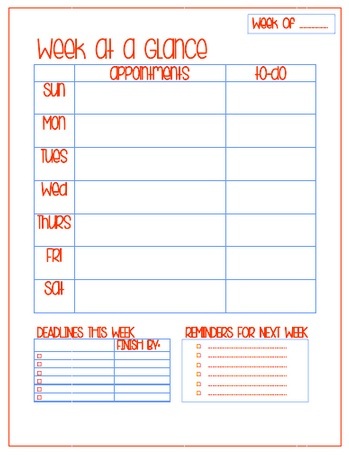 FREE Printable: Week At A Glance! It’s snowing. A lot. Like a lot a lot. And after a fantastic (insert sarcasm) walk from class through the blizzardy snow, all I feel like doing is sitting in my bed drinking iced coffee and making printables. I made a weekly planning printable in two of my favorite colors, scarlet red and periwinkle blue. Click on the preview or the link below to download! Enjoy! 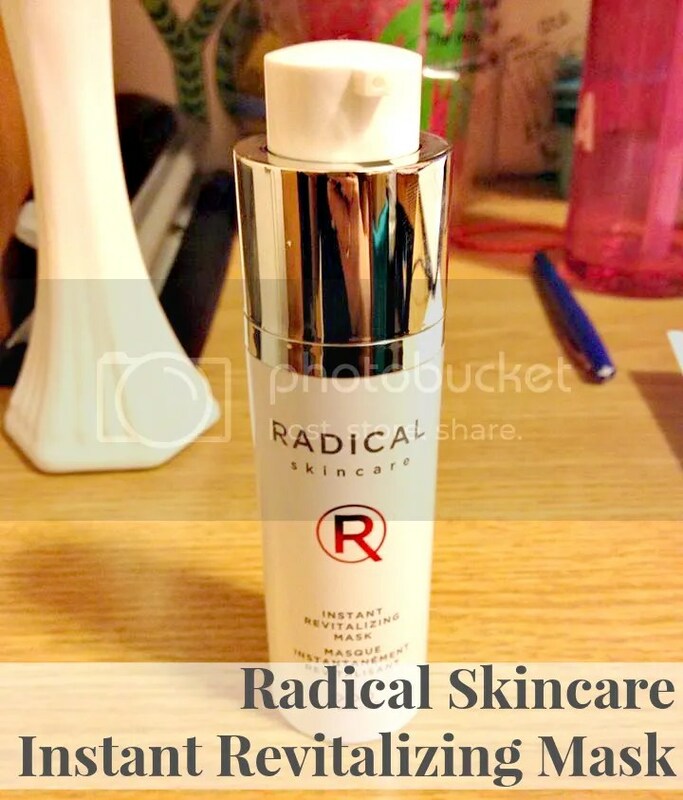 Anyway, I’ve got a great product review today: Radical Skincare Instant Revitalizing Mask. 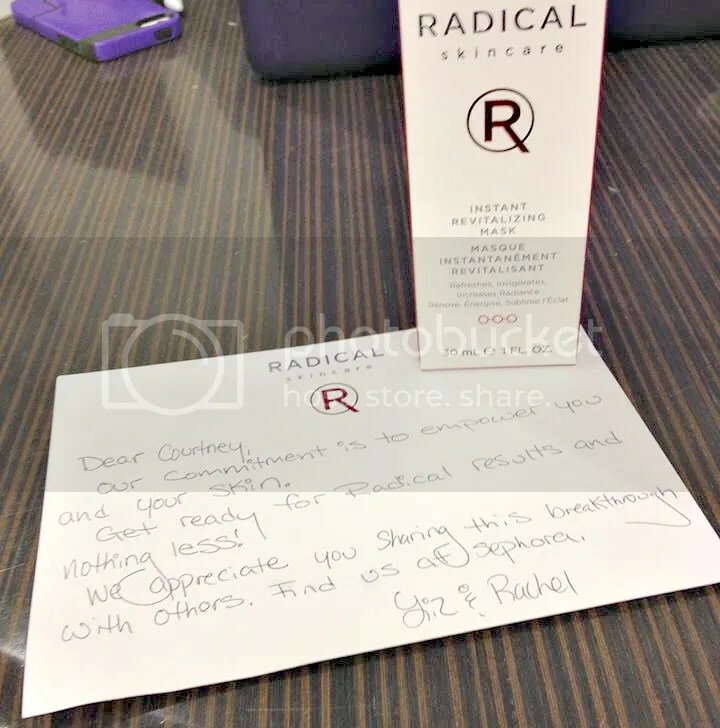 This product was sent to me courtesy of Radical Skincare and Sephora, but my opinions of the product are honest and entirely my own. Here’s some info about Radical Skincare Instant Revitalizing Mask from the Sephora website. A one-ounce bottle of the mask costs $65.00. A fun-to-apply skin soothing, intelligent mask that foams, pops, and gives radical radiance in minutes while providing hydration, vitamins, and energy to your skin. The Instant Revitalizing Mask is the ideal coach for the skin: it delivers the nutrients necessary for hydration and regeneration while teaching it to breathe, stock up on energy, and optimize its oxygen resources in rarefied conditions. It leaves skin amazingly revitalized, healthy, and glowing. -Sodium PCA: Used to increase the skin’s softness as it helps maintain a healthy moisture balance. -Vitamin E: Preserves the skin against aggressivity of free radicals created by oxidation coming from exposure to pollution, excess of sun, and age. -Green Coffee: A good scavenger of active oxygen species, and a very strong antioxidant. I love that this product doesn’t contain parabens, sulfates, or phthalates, which are all ingredients that I try to avoid putting on my skin. 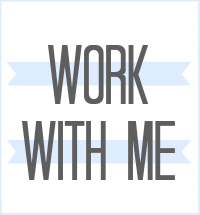 Before I review the product itself, I think it’s important for me to talk about my skin to give you the best possible impression of the product. If your skin is totally different than mine, then you may have a different experience with the product. My skin is sensitive and combination: sometime’s it’s oily, but sometimes it’s dry. It doesn’t bother me too much: I’ve never had serious skin issues that warranted visiting a dermatologist or using any prescription cleansers, creams, or gels. I’ll use cleanser and toner in the morning, and moisturizer at night. Harsh cleansers and toners make my skin burn and get red. As a frame of reference, Clinique toner is too harsh for my skin. I rarely wear liquid foundation: I usually stick to BareMinerals powder foundation or Benefit Some Kinda Gorgeous Foundation Faker. I generally have good skin: obviously sometimes it’s red or imperfect, but I’m usually pretty satisfied with it how it looks. 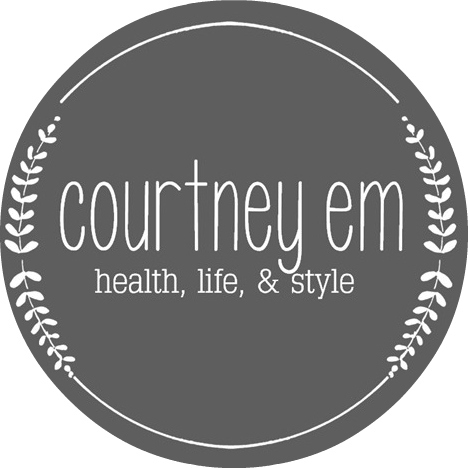 SO onto the actual review… sorry for that wall of text! I applied this mask after removing my eye makeup and washing my face with some gentle toner on a cotton ball to remove makeup from my face. I applied a pea-sized amount of the mask to my cheeks, nose, and chin. It looked white and foamy when I first applied it, then it turned clear. I liked that while wearing the mask, my face didn’t look like I was wearing a mask. The mask felt foamy and bubbly on my skin, and I rinsed it off after a few minutes. My skin felt very soft and looked great. About half an hour after I rinsed off the mask, my face started to feel itchy. This was weird, especially because my skin wasn’t red at all. I put some moisturizer on my face, and the itching went away. I’ll try the mask again, but not for a few days because the instructions say to use it twice a week. I wasn’t really sure why my skin itched, but I don’t think it was because I’m allergic to the ingredients because I didn’t see any inflammation on my face. Overall, I liked the product, but I think it’s designed for people whose skin isn’t as sensitive as mine. I’ll use it every once in a while, but I’m not sure if my skin can handle using it twice a week. We’ll see! Thank you so much to Radical Skincare and Sephora for sending me this product to try. I really appreciate it, and I hope my readers do, too!